From a porcelain complexion, to plump moisturized skin, here is what “superfacialists”, from five countries, are revealing about what’s considered beautiful in their countries and what women really want. How do you define perfect flawless skin? Does it even exist? If you flip through the pages of pretty much any beauty magazine, you may think perfect skin is narrowly defined…but that’s not the case. It’s both intriguing and enlightening to ask “superfacialists” what perfect skin is for them and their clients. Passionate about skin care Erika Zodtner has been in the field since 2004, she owns FIRM LA located in Beverly Hills, California. Her clients are all unique, however, they are all striving for perfect skin. They are not so much interested in the procedure versus the results. Most of her clients want to look “fresh” as opposed to “done”. Erika’s clients ask mostly for firming and tightening around neck and jowls. Biggest skin care concerns are acne, pigment problems, pore size, fine lines and wrinkles and sagging! In 1987, Denise Dubois opened Complexions Spa for Beauty & Wellness in Albany NY. Denise, a leader in our industry, owns the first and only LEED Gold Spa & Salon in NY. In awe of all her achievements, I could not help but ask her what unique needs her clients have. Her answer may surprise you. Denise, now divides her time between Albany and an office in New York City, feels the needs are similar for clients in the city vs. Albany in that everyone desires a youthful appearance. The biggest challenge with her clients, in the city, is air pollution, the environment and stress levels. All contribute to free radical damage and need to be address head on with the appropriate treatment protocol. Denise believes in synergy using the most effective home care with a variety of professional in office procedures. Managing partners Simone Vescio and Reika Roberts (Derma Aesthetics- distributors of Dermaviduals across Australia & New Zealand) feel that every client is unique as no two people have the same skin or skin concerns – Dermaviduals is a bespoke skin correction system. They believe in customizing their products for specific skin conditions, not applying a blanket approach to their formulations. Clients are all looking for results, results, results and education. As distributors, they are committed to cutting edge educational programs, which allow their therapists to make informed decisions rather than being subjected to hype or hollow promises. “Skin barrier disruption causing sensitivity often hailing from incorrect product use, as well as exposure to product ranges not suited to the skin type. We see a lot of damage from over exfoliation, aggressive chemical peels and of course in Australia and New Zealand, general environmental damage. When the skin’s barrier is disrupted, skin is not protected from environmental stress & pollution, and it loses its ability to protect and defend itself. Perfumes, preservatives and emulsifiers can all cause skin barrier disturbance leading to irritation, so the scientists at Dermaviduals incorporate a ‘DMS’ dermal membrane structure into the products, which mimics the structure and function of the skin. A pure and natural skin care concept signaling the future of skin care has arrived, and we are delighted to educate and inform people about corneotherapy and skin correction.” Says Reika Roberts. Visitwww.www.dermaviduals.com.au for further details. Fred Grönroosin owner of Elcos Medical in Helsinki, Finland, introduced me to skincare extraordinaire Jaana. So sought after for her innovative anti-aging treatments that her location doesn’t have any signage. I was fortunate enough to receive one of her facials, 120 minutes of pure bliss. According to Jaana, Finnish women are still very private about their beauty routines, and any procedures. They feel no need to divulge any of their secrets. To achieve perfect flawless skin Jaana insists on the importance of appropriate skin care for their Nordic climate. Francoise opened Essentielle Soins Esthétiques in 2002. Essentielle is located in Sens-Sur-Yonne, Bourgogne France. For Francoise performing a facial is an art. There is a technique for everything. Her goal is for all of her clients to leave with glowing skin. France is no different from the rest of the world. French women are more and more conscious of what’s available on the market, they Google and research. They want an accurate skin analysis with skin care strategies. The Skin Klinic, in Toronto, is an advanced skincare studio. It’s owned and operated by Martina Kocicka. 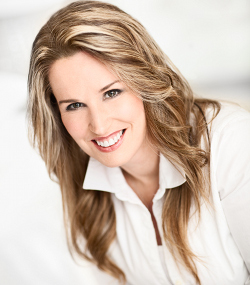 Martina holds a CIDESCO International Diploma, and specializes in skin rejuvenation. Over the years, she has noticed that her clients want results! Her treatments have evolved over the years to ensure she gives them just that. Martina sets short and long term goals with her clients, to ensure they leave with dewy radiant skin.